Founding attorney Stephen Garcia and the law firm are well-recognized for their achievements. 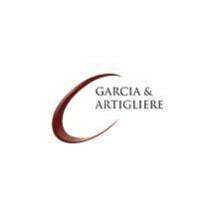 Mr. Garcia is named to almost every significant list of noteworthy attorneys. But for us, the awards we have achieved are not nearly as significant as the victories we have helped personal injury victims achieve. We know that nothing can ever truly compensate them and their families for the pain, suffering, loss, and hardship they have had to endure. But we also know that our work can help alleviate the financial suffering they would face if we were not able to obtain them justice.